Ever wanted to send an update or announcement to your contacts without leaving StudioBinder? You can now! Notify your production about any updates or changes with just a few clicks. Let’s dive in. 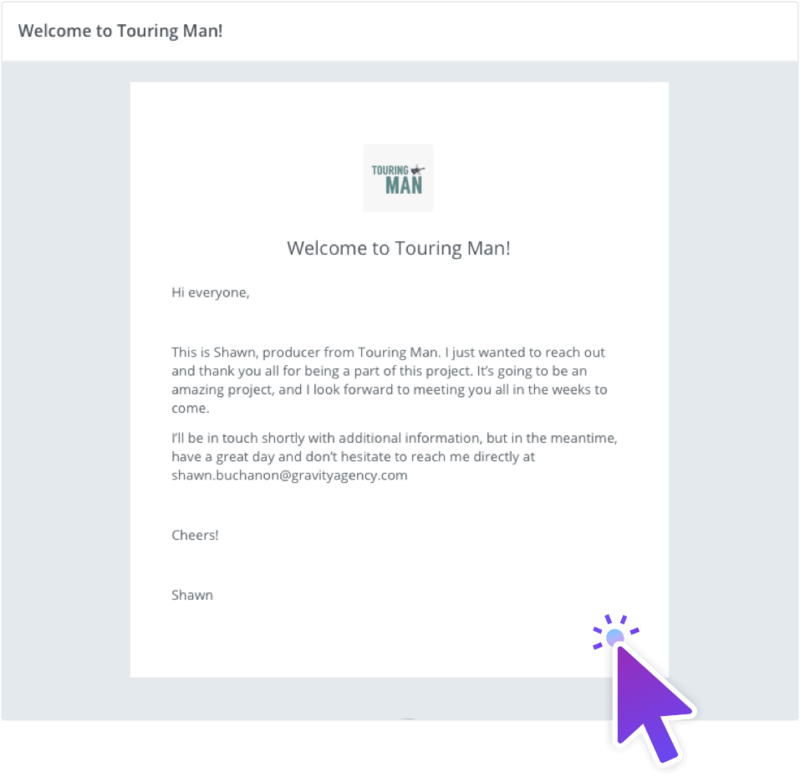 With contact messaging, we’ve designed a convenient way for you to compose and send emails to your contacts without leaving the page. Just go to your Project Contacts or Recipients page, select your recipients, and click Send Message. The email styling will look just as sharp as your call sheet emails, giving you a more polished look and projecting a cohesive brand image. We’ve also made it easy to format your body text so you can add emphasis to your messages. Provide additional clarity by attaching documents or media to your messages. Max 10mb per email to ensure deliverability. Share the news with a tweet!